September 24 at 22:30, TV channel “Inter” will present a new entertainment show “Good Evening”, and SHAKE™—a low-alcohol cocktails brand—will be the partner of the show. Popular Ukrainian celebrities will be the star participants of the program, and the host of the show, Andrey Domansky, will entertain the audience with witty jokes and funny stories. “The ‘Good Evening’ show is all about subtle humor, good mood and standout personalities. SHAKE cocktails are all about the taste of good life, maximum pleasure and unforgettable emotions from hanging out with friends. 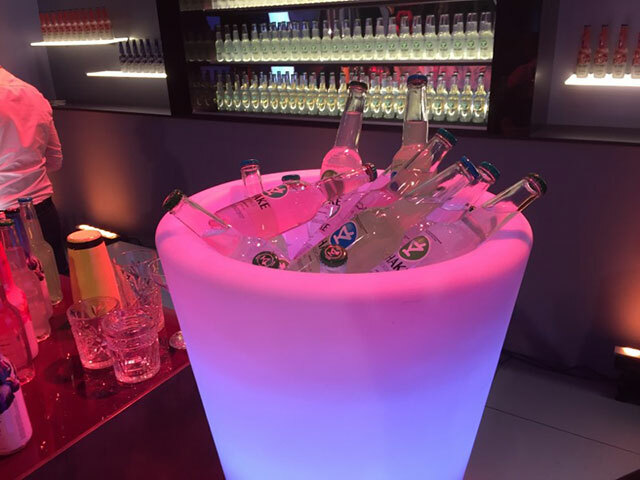 We are confident that the show and SHAKE is just what you need for a fun and stylish Saturday TV Party”, says Boris Tkachev, the Director of Strategy and Research of the New Products Group. The “Good Evening” show, based on the successful American “Hollywood Game Night” format, will air every Saturday in weekend primetime. More than 100 well-known Ukrainian actors, presenters, athletes, singers, musicians, dancers and comedians will participate in the show. Once a week, two star teams will meet to party and take part in fun games and contests, entertaining the audience.